select *, DATE_FORMAT(birthday, "%b %e, %Y") as _birthday, DATE_FORMAT(died, "%b %e, %Y") as _died, MONTH(birthday) as month_birth, DAY(birthday) as day_birth, DATE_FORMAT(birthday, "%b %e") as _birth_day_month from agatti_people where agatti_people.u_name = "billie-burke"
Shares birthday with Ann Harding, Joseph Sistrom, Nicholas Ray see more.. Legendary character actress, Billie Burke, was born Mary William Ethelbert Appleton Burke on Aug 7, 1884 in Washington, DC. Burke died at the age of 85 on May 14, 1970 in Los Angeles, CA and was laid to rest in Kensico Cemetery in Valhalla, Westchester County, NY. Billie Burke was born Mary William Ethelbert Appleton Burke on August 7th, 1884 in Washington, D.C straight into the life of show business. Her father, Willy Burke was a successful circus clown and singer who toured with the famed Barnum Bailey circus. Due to her father's vocation, little Billie spent her most formative years touring across the country and Europe with her father. Her family eventually settled in London, where Billie became infatuated with the West End and the theater in general. Burke's early infatuation eventually grew into a burn passion and soon she knew she was meant to follow in her father's footsteps to become an entertainer. In 1902 she made her stage debut as singer in London's famed Pavilion Music Hall. She quickly moved from singing to acting, making her acting debut with a small role in The School Girl. Thanks to her personal charm and excellent comedic timing, Burke was able to follow that up with successful runs in other London shows such as The Duchess of Dantzic and Blue Moon. After several well-received performances in London, Burke decided to give the Great White Way a shot and moved back to the States. She made her Broadway debut with a strong supporting role in the 1907 Michael Morton penned My Wife. The play was commercial and critical success with many critics praising Burke's performance. She quickly became a regular sight on the comedic stage, starring in a strong of successful Broadway shows such as Mrs. Dot, Suzanne, The Runway and The Land of Promise. During this time Burke also began a romance with the successful producer Florenz Ziegfeld, whom she would marry in 1914. Like many successful stage star, by the mid-1910s Burke decided to give the burgeoning motion picture business a try. She made silver screen debut in Charles Giblyn/Thomas H. Ince comedy Peggy. 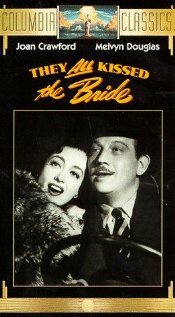 The film was a huge success as was Burke with many critics singling her out as the films highlight. She then went on to star in the 15-part serial Gloria's Romance. Although the series as a whole lost money, it was still a popular hit with audiences and critics. Burke quickly became one of biggest stars of the silver screen, right up there with Mary Pickford, Lillian Gish, and Irene Castle. She continued to appear in big screen hit such as Arms and the Girl, The Land of Promise, The Make-Believe Wife and Good Gracious, and Annabelle. Although the movie business increased her popularity, Burke's first love was the theatre. She continued to act on Broadway with hits such as A Marriage of Convenience, The Rescued Angel, and The Intimate Stranger. By the 19922 she had abandoned the screen all together to focus on her stage career in plays like Rose Briar, Annie Dear, and The Happy Husband. During this time her cosmopolitan costumes and personal wardrobe also made her fashion trendsetter and beloved member of polite society. Thanks to their stock market investments, Burke and Ziegfeld were able to live a lavish lifestyle during much of the 1920s. However after the stock market crash of 1929, most of their fortune was wiped out. Burke then returned to the big screen to help their ailing financial state. She made her silver screen return as Katherine Hepburn's mother in the George Cukor drama A Bill of Divorcement. Although she found the new world of talking pictures much more artistically satisfying than the silent pictures she had starred in the past, her husband passed away during the films production. Ever the professional, she quickly returned to filming. The next year she starred as the scatterbrained wife throwing a dinner social in George Cukor's comedy-of-manner Dinner at Eight. The film was great hit with many critics and filmgoers praising Burke's zany performance. Soon she was appearing in multiple films years, often playing a scatterbrained but well-meaning woman of society in films such as Finishing School, Society Doctor, She Couldn't Take It and My American Wife. In 1937 she appeared in one of her more memorable roles as the high society wife of Mr. Topper in Norman Z. McLeod popular comedy Topper. The next year she earned an Academy Award nomination for her role as Emily Kilbourne in the comedy Merrily We Live. During this time she also kept her Broadway ties by producer the Ziegfeld Follies shows after her husbands death. In 1939 she appeared in what is no doubt her most memorable big screen role as the cheery Good Witch of the North, Gilda. 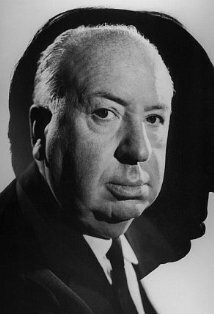 The film was not only one great hits of 1939, but has since become one of the most iconic pieces of American culture. 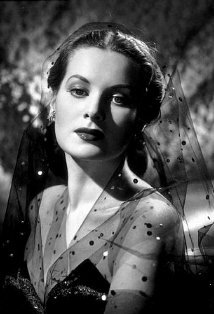 That year she also appeared four more films, Zenobia, Bridal Suite, Eternally Yours, and Remember?. She would maintain her busy schedule into the next decade, appearing in seven films in 1940 including The Ghost Comes Home, Irene, and Hullabloo. The next year she reprised her role in as Mrs. Topper in the third and final Topper installment Topper Returns. In 1943 Burke began working on a new medium, the radio. From 1943 to 1946 she starred in her own series, aptly titled The Billie Burke. She then joined the cast of Eddie Cantor's radio show in 1948. 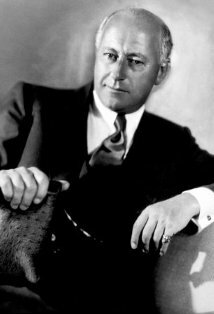 Burke also remained busy in the industry for rest of decade, appearing in films like Girl Trouble with Don Ameche, Swing Out, Sister with Rod Cameron, The Bachelor's Daughter with Claire Trevor, The Barkley's of Broadway with Fred Astaire and Ginger Rogers. In 1950 she appeared as the mother of the groom, Doris Dunstan, in Vincente Minnelli's family comedy Father of Bride with Spencer Tracy and Elizabeth Taylor. She returned to the role next year with its sequel Father's Little Dividend in 1952. By the early 1950s Burke began working in the burgeoning field of television, making her small screen debut in a 1950 episode of Lights Out. The next year she became the host of her own talk show, At Home with Billie Burke, which would last for one season. She continued to work on the small screen, making guest appearances in popular shows such as All Star Revue, The Best of Broadway, The Edie Cantor Comedy Hour and Playhouse 90. However, by the end of the decade her memory began to fail and soon Burke had difficultly remembering her lines. After a lifetime in the business, Burke made her final screen appearance in the 1960 John Ford western Sergeant Rutledge. She entered quiet retirement and lived the rest of her days in Beverley Hills. 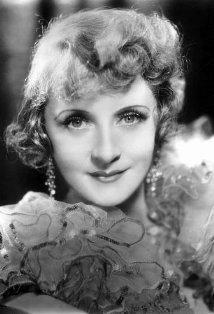 Billie Burke died of natural causes May 14th, 1970 in Los Angeles. She was 85 years old. 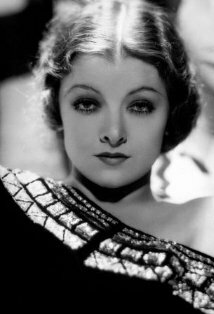 Although Burke was nominated for one Oscar, she never won a competitive Academy Award. Mrs. Topper: Wilkins, after all these years, are you trying to be funny? Marmy Carleton: The sahib doesn't believe in unemployment. Marmy Carleton: H thinks it should all be done away with. Marmy Carleton: He says the only way to do away with unemployment is to do away with employment. If nobody worked, there couldn't be any unemployment, and so the sahib hasn't done a speck of work in four years. Paula Brown: My dear, you have to be an very good actress to be a successful wife. Daughter, with Florenz Ziegfeld Jr.: Patricia Ziegfeld Stephenson, born 1916.